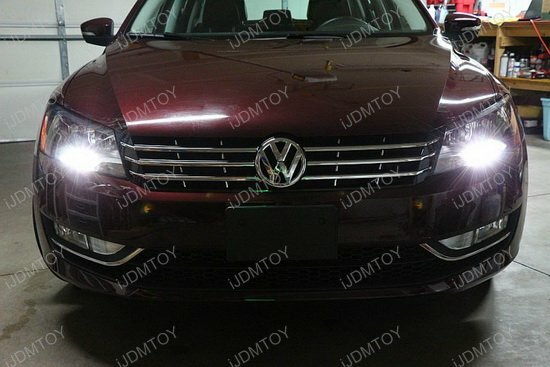 2012-2015 Volkswagen Passat or Beetle halogen headlights only! 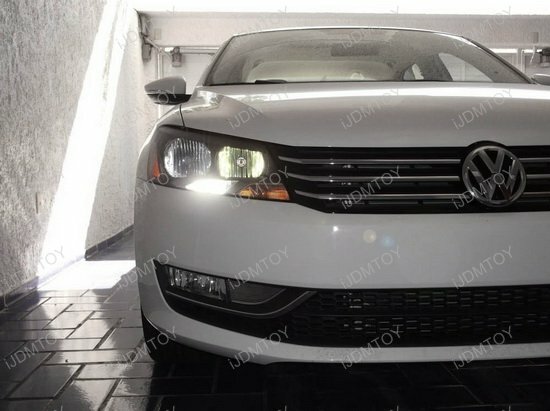 A: This set of LED daytime running lights is compatible with the 2012-2015 Volkswagen Passat or Beetle with halogen headlights only. 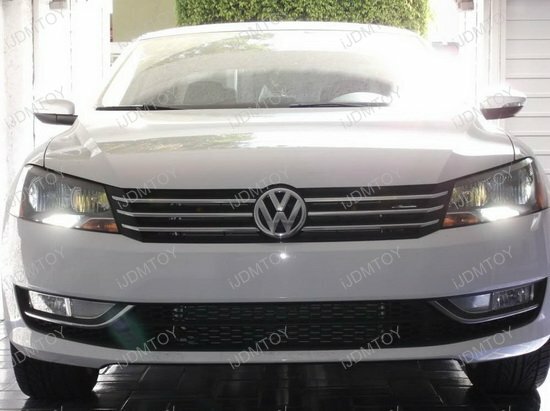 This page features one pair (2 pieces) brand new 69-SMD 7440 T20 LED bulbs special designed for 2012-2015 Volkswagen Passat or Beetle with halogen headlights only for the daytime running light bulbs replacement. 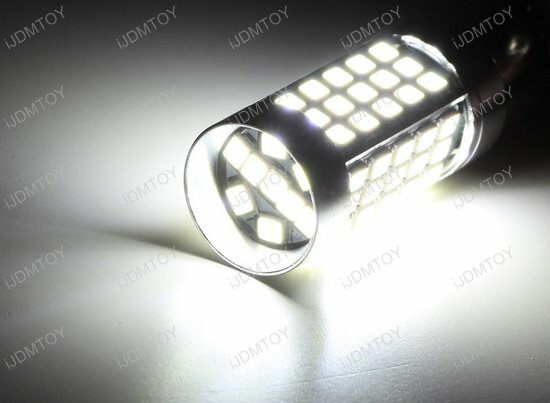 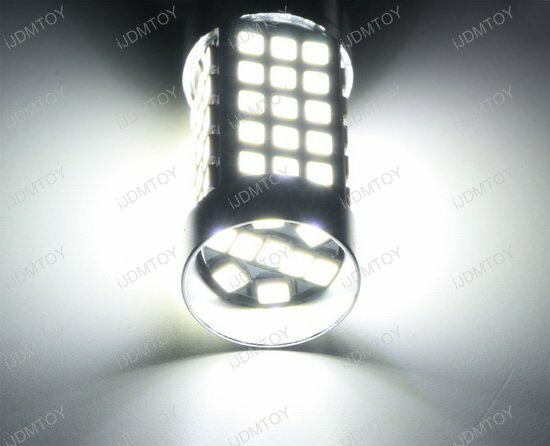 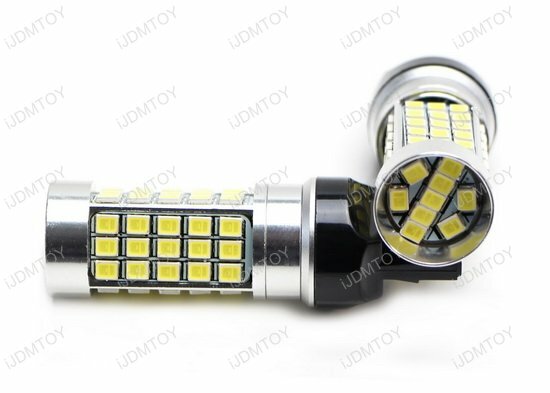 This 7440/T20 LED bulb is powered by 69 pieces SMD LED emitters. 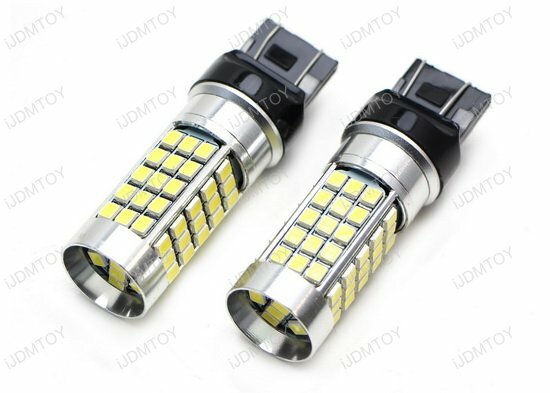 This LED bulb will replace the stock 7440 7444 992A T20 bulb for 2012-2015 Volkswagen Passat or Beetle halogen headlights only!